As a new student studying physics at Coe College in Cedar Rapids, Iowa, I was excited to hear that there was going to be a physics convention in Los Angeles. I had done my first few classes covering the general fundamentals of physics as well as doing a bit of hands-on research on glass compositions, so I figured that it would be good to expose myself to all the different types of research that other students were doing. So over spring break, I decided to go to APS March for my very first physics convention. It was a truly remarkable experience. 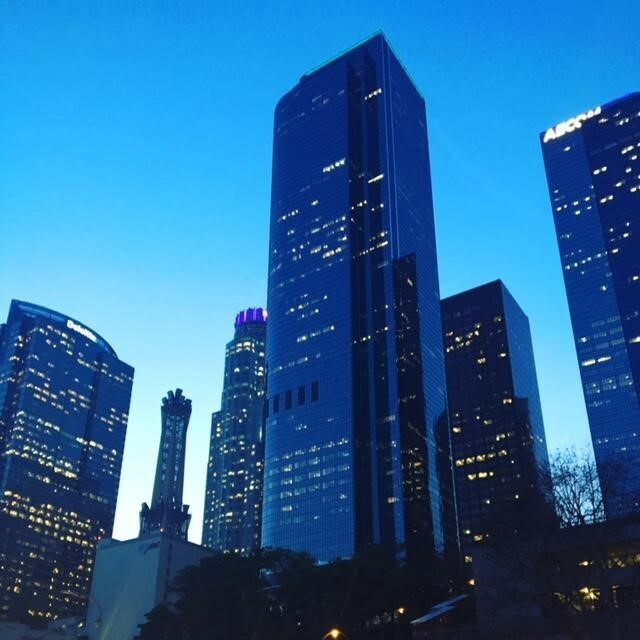 I was enthralled by the fact that it was held in Los Angeles, a city that I had only dreamed of visiting. The city was everything that I thought it would be; it was full of life, culture, and diversity. The convention was located in the heart of downtown and all the sights and smells were overwhelming at first. As someone who has grown up all their life in Iowa, Los Angeles was a shock to me. Everything from the bussiling of expensive cars, the slow cascade of traffic and the never-ending noise of horns and engines, to the plethora of food vendors and restaurants; it all captivated me, and I hadn’t even gone inside the convention center yet. As I walked in on the first day of seminars, I was astounded by the sheer number of people inside attending the event. Hoards of students and professors and doctorates were ascending the elevators, making their way through the long corridors, and entering their designated seminar rooms. I was relieved to see that there were numerous people hired to help others find rooms, and to direct traffic. In the chaotic mess, the entire event was actually very well organized, which greatly relieved any fears that I felt about getting lost. While I was merely an undergraduate student attending out of curiosity with no presentation or poster of any kind, I found that just sitting in on various seminars was truly eye-opening. At first, I attended some of the talks given by professors in their field. To be honest, the material that the doctorates were presenting was far too advanced for me to understand. As a sophomore with the most minimal background in physics, I only managed to recognize a few words or phrases from the presentations. It was rather humbling and awe-inspiring to realize just how little you know and how large the field of physics research covers. The first seminar that I attended was about machine learning and the types of programs that were being used to study classical and quantum many-body physics. It was fascinating to hear about a field of research that I didn’t even know existed. The next few seminars were vastly different, and I found it to be really neat that I could go from seminar to seminar and hear about something completely different each time. 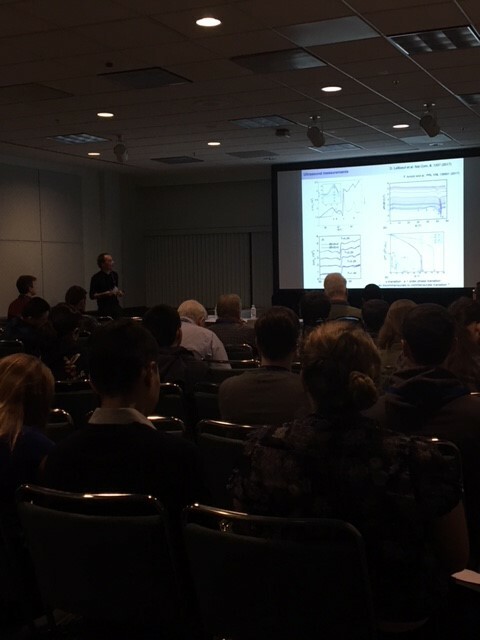 I sat through some presentations on thin films for one seminar, followed by a presentations on polymer glasses, and then went onto a different seminar that covered various research on the properties of Cerium. Each seminar was vastly different but they were intriguing in their own ways, even though I didn’t understand the majority of the information given. After a few hours of attending seminars given by doctorates and professors, I decided that maybe it was best to see what the undergraduates were accomplishing. While sitting in on the undergraduate research presentations, I was pleasantly surprised to find that I understood a large amount of the research since a lot of it mirrored what our physics department was doing currently at my college. It was fascinating to listen to the various projects that the students were researching. Every presentation was different and it really showed just how much there is to be learned in the field of physics even at an undergraduate research level. I was extremely impressed by each presentation in terms of the significance of the research that each student was doing. It made me really optimistic about continuing my physics major and being able to explore all the different aspects of research. Sitting through the undergraduate presentations also exposed me to different colleges and their accompanying fields of study in the area of physics. A lot of the presenters were from the University of California colleges, and their research was very interesting. Several students were studying ferromagnetic materials and analyzing specific compositions of crystals and glasses. There was one student who was doing computational research using Monte-Carlo Simulations on a superconducting compound, and a different student who was studying orthoferrites. Another student was studying the magnetic properties of Cerium compositions, which was interesting because I had just attended a graduate talk about Cerium. After an entire day of presentations, I was relieved that the convention had set up numerous events for only undergraduate students, including meet-ups with other students and being able to talk to professors and graduate researchers. I was able to ask questions about grad school and unwind from a long day. I was very thankful for these undergraduate events because it allowed me to easily make new friends and connections. It also let me try some of the different restaurants and foods in the area, and I was able to explore a bit of the city. Overall, my first day at APS March was truly an experience. 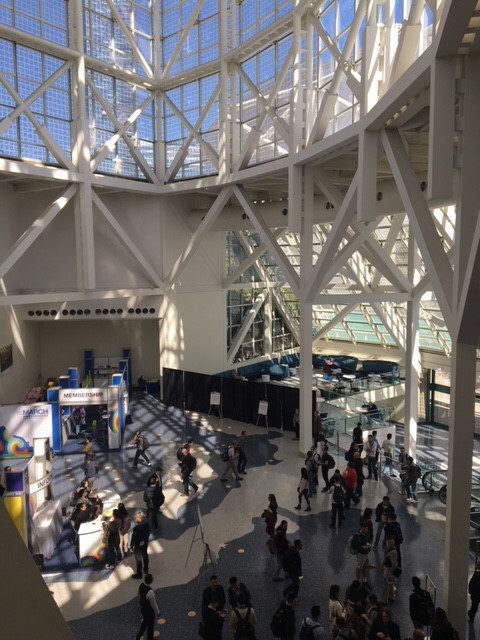 As my first physics convention, I was pleasantly surprised by everything from the location, to the presentations and the people. The rest of the week carried out smoothly with even more presentations and events that kept me very busy. At the end of it all, I had made new friends, numerous connections and had formed a broader understanding of the field of physics research. While the undergraduate research paled in comparison to some of the work done by the doctorates and professors at the convention, it made me realize that research as an undergrad is more about exposure to using different techniques and methods as opposed to trying to discover the latest breakthrough in science, and that the methods that I learn now, even under the most basic pretences, will be invaluable as I continue research in grad school.